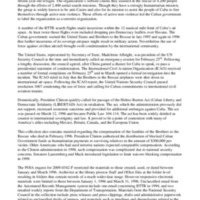 This collection includes records related to the February 24, 1996 incident involving the Cuban military and three planes of the Florida group, Brothers to the Rescue, also known as Hermanos al Rescate. The collection dates primarily between January and March 1996. 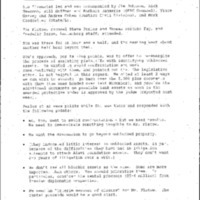 The records include press releases and press clippings, statements, talking points, drafts and administrative paperwork related to memos, and timelines and chronologies related to the events of February 24, 1996. 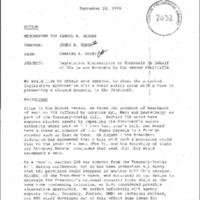 The collection also includes records related to the International Civil Aviation Organization (ICAO) investigation of the shoot down and a later dispute before the ICAO regarding overflight of the United States by Cuban commercial aircraft. 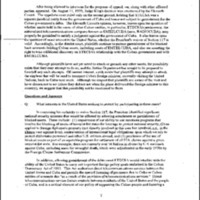 This FOIA also includes drafts, discussion of, and legislative referral memoranda for the Helms-Burton Act. Also included are a selection of court filings, memoranda, and letters related to later victims compensation cases before U.S. courts.